Tyler Cornelius BSc (Hons) TCM, Bachelor of Medicine (China), MATCM, Advanced Rolf Structural Integration, Dip Structural Integration KMI, DipCHM Gynaecology & Obstetrics, BTEC (Dip) SMRT, Dip Oriental Bodywork. Do you suffer from chronic pain and are on medication that merely relieves the symptoms and gives you side-effects? Is your neck sore? Do you get frequent headaches? Are your back or shoulders painful? Do you have niggling injuries that won’t go away? Do you feel stressed, anxious or low? Do you get every cold and cough going? Are you often tired or under the weather? Or have trouble sleeping? Are you pregnant and want to balance your health and nourish that of your baby? Or just given birth and feeling exhausted or anxious? Are you struggling with fertility issues, or preparing for or undergoing assisted fertility treatment? Do you want help regulating your menstrual cycles, PMT or need help through the menopause? Do you want to support your health to give you energy and a balanced state of mind? Would you like to move more fluidly and breathe more easily? Are you an avid exerciser or preparing for a competition and want to rehabilitate from or prevent injury or improve your performance and conditioning? Is dealing with an illness or condition is preventing you from living the life you deserve? The therapies I offer to help clients achieve optimal health are Traditional Chinese Medicine (Acupuncture and Herbal Medicine) and Structural Integration and Integrative Bodywork. 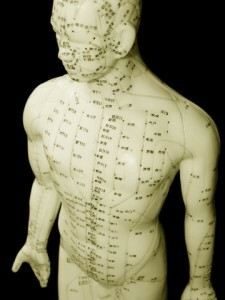 My intention is to help you quickly experience relief and guide you to a more balanced quality of life. I offer a short bodyreading if you would like to know more about Structural Integration and how it can help you.